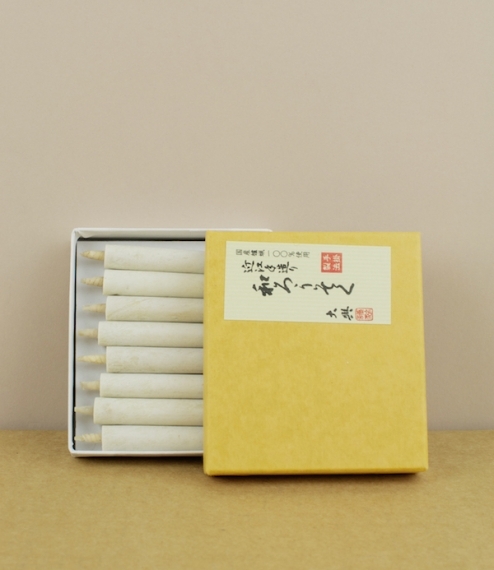 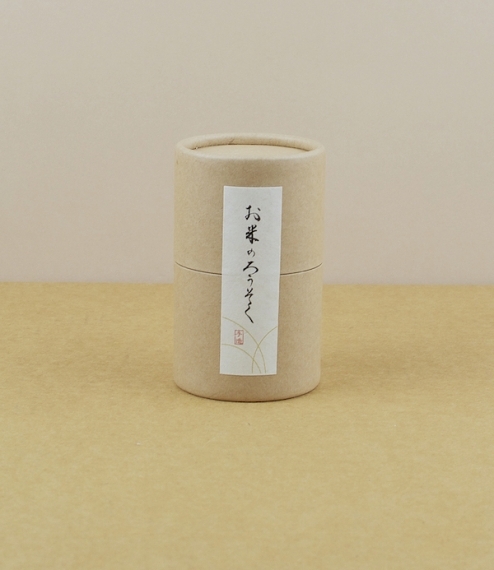 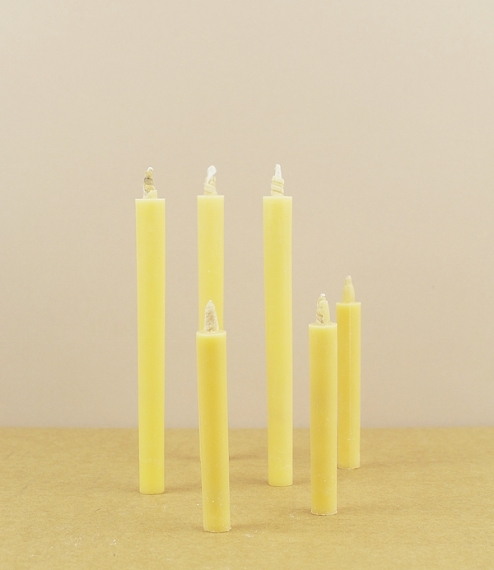 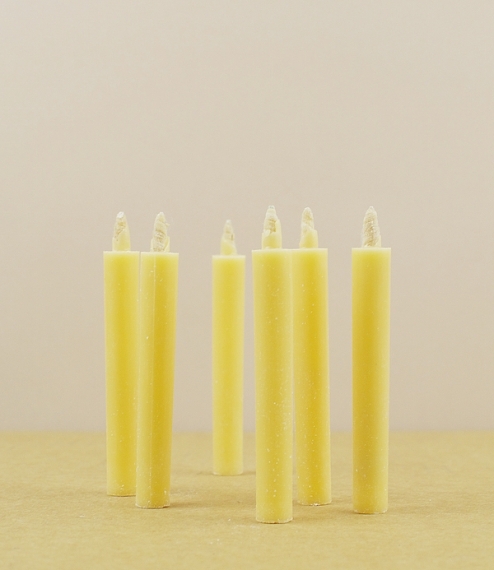 Wa-rosoku (hand rolled candles) renowned for their steady burning and even flame. 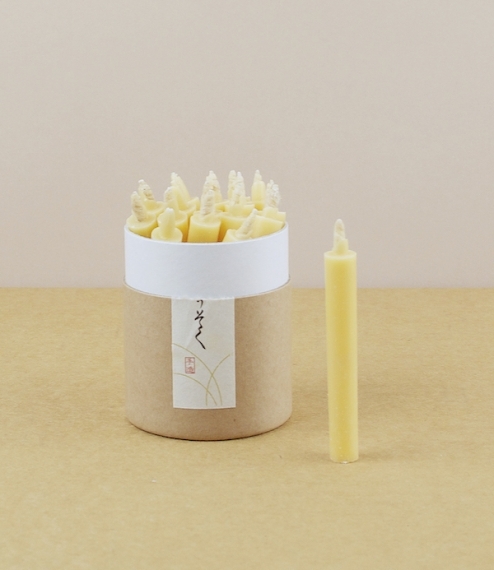 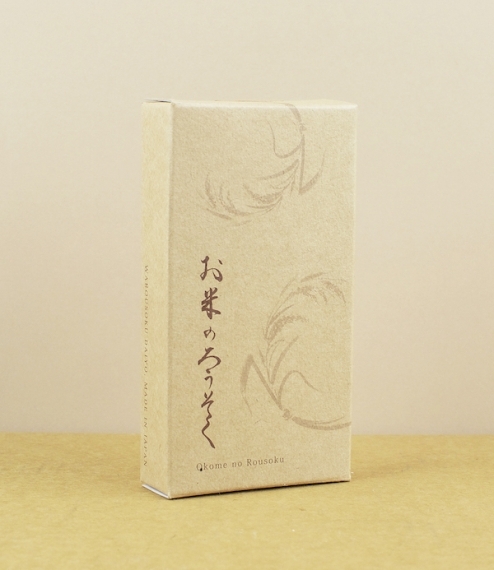 Made of rice bran wax, a hard yellow wax extracted from the otherwise wasted husk and germ of rice. 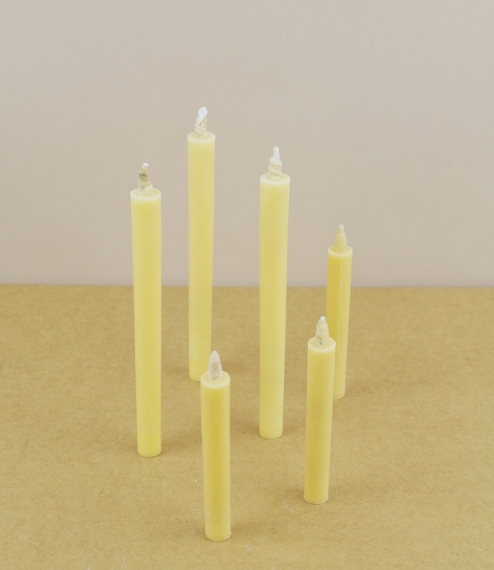 The wicks are made of washi paper rolled about a rush skewer and the body built up by rotating this in the right hand whilst the hot wax is smoothed about the shaft with the left - a rarely practiced traditional art known as kiro-tegake-seiho - before the top is shaped and the rush removed leaving a hollow core. 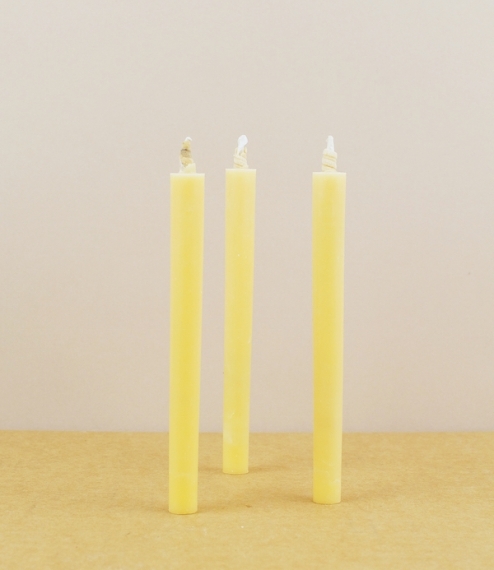 In boxes of twelve 120mm candles, or tubs of twenty at 80mm.